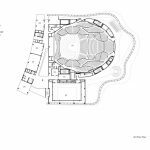 Oct.17th, 2016. 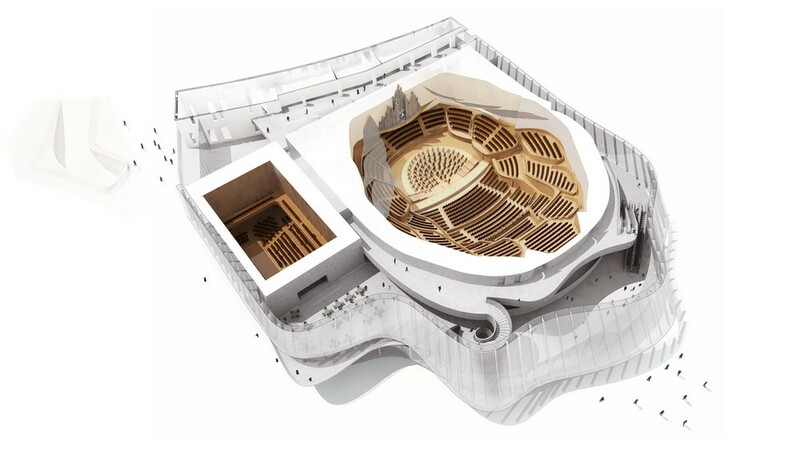 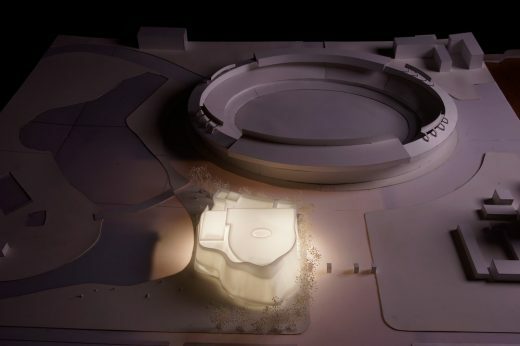 – Beijing, China – The China Philharmonic Orchestra revealed MAD Architects’ design of the new China Philharmonic Hall. 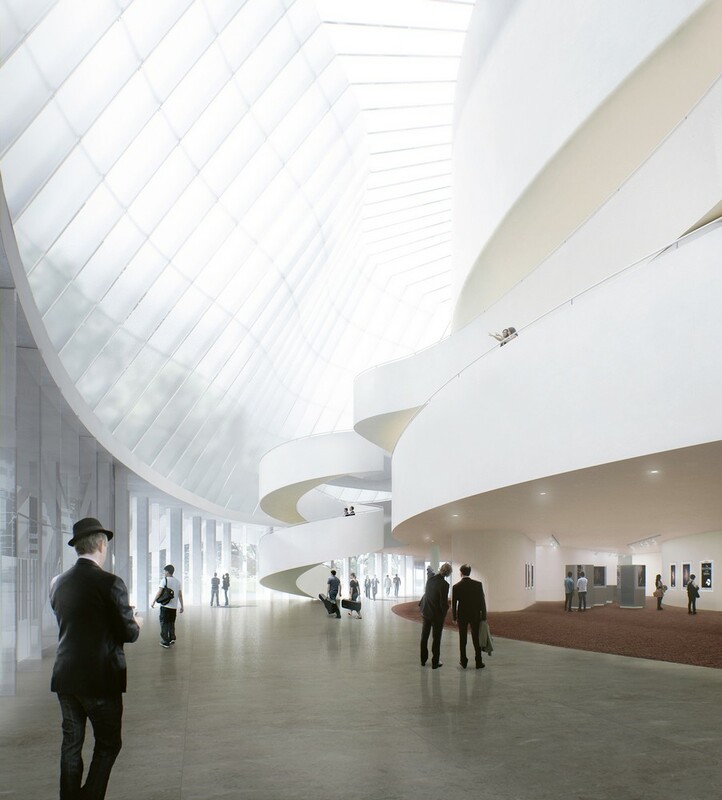 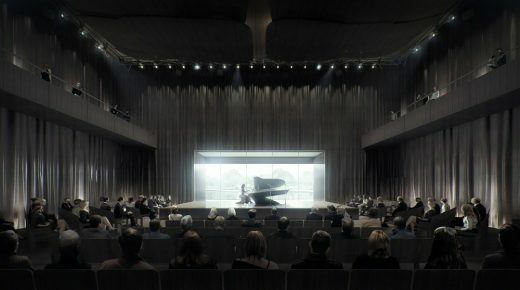 The concert hall was designed in collaboration with renowned acoustic expert Yasuhisa Toyota, and will be the orchestra’s first permanent residency. 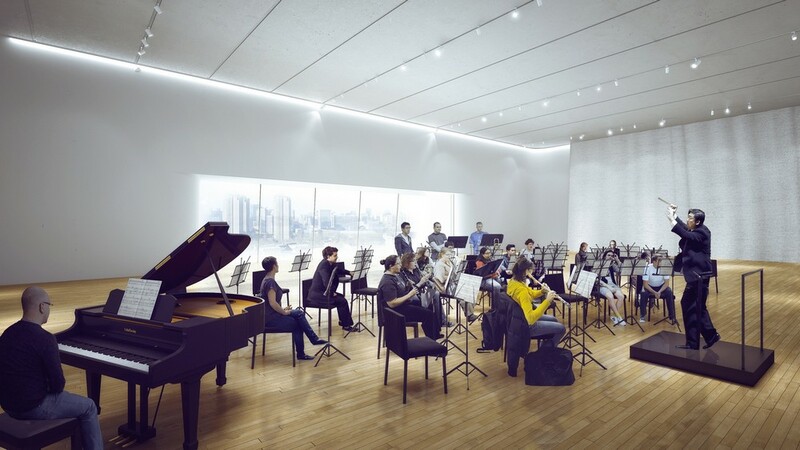 The philharmonic orchestra’s goal is to create a state-of-the-art concert hall that will serve as a cultural exchange and China’s new locus for classical music. 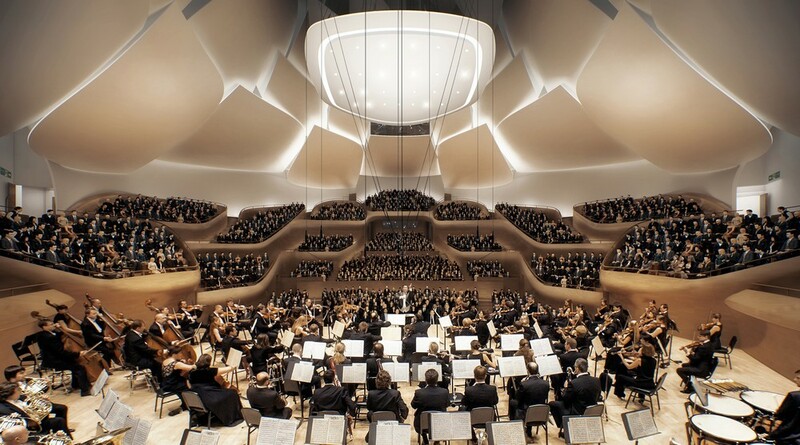 British magazine GRAMOPHONE recognized the China Philharmonic Orchestra as one of world’s best symphony orchestras. The orchestra’s current president is Li Nan, and its artistic director/chief conductor is Yu Long. 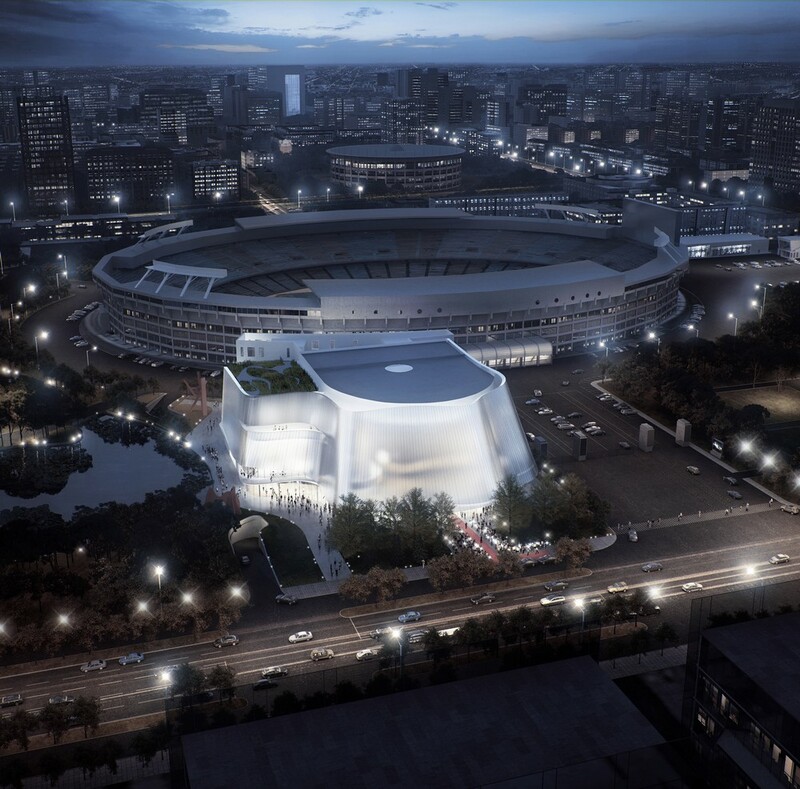 Located at the south side of the Workers Stadium East Gate in Beijing’s Central Business District, the concert hall covers a site of 11,600 sqm, and has a total floor area of 26,587 sqm. 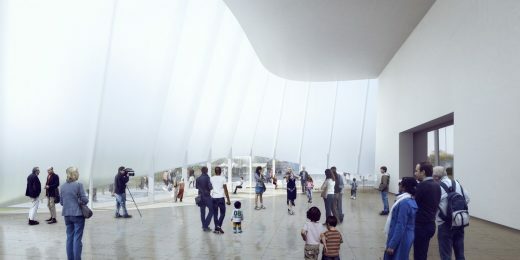 To ensure the design also meets the highest standards for classical music performances, the acoustic design was developed by Yasuhisa Toyota, whom has designed world-class concert venues such as the Walt Disney Concert Hall in Los Angeles, the Philharmonie de Paris, and the Suntory Hall in Japan. 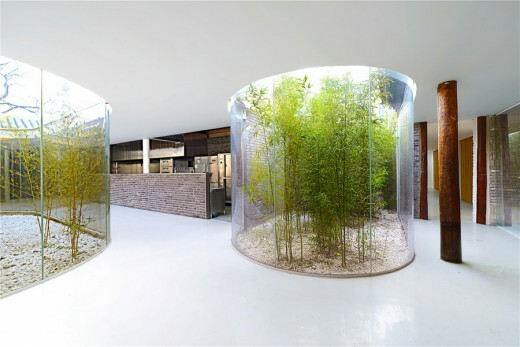 The building is surrounded by a lotus pond and lush greenery. 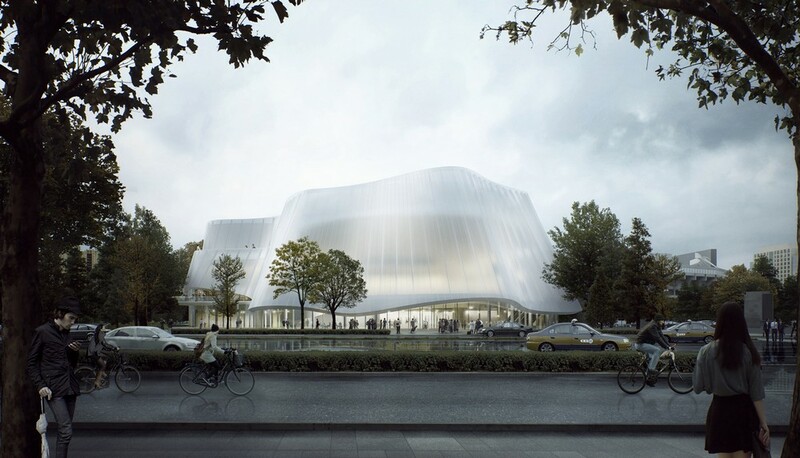 The translucent façade gently emerges from the landscape like a piece of jade. While walking past the building, people will be attracted to its soft glow. 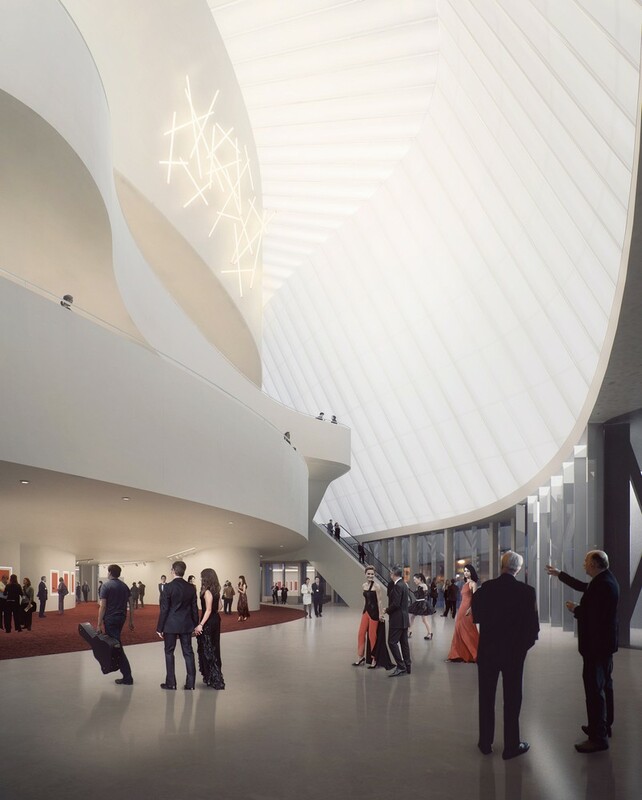 Once inside the lobby, audience members will feel like they are entering an installation of light and space. Daylight is diffused through the translucent white curtain wall into the lucid space. “Audiences will experience a transition from an urban setting to one of music and nature, preparing them for a journey of self-discovery,” says Ma Yansong. 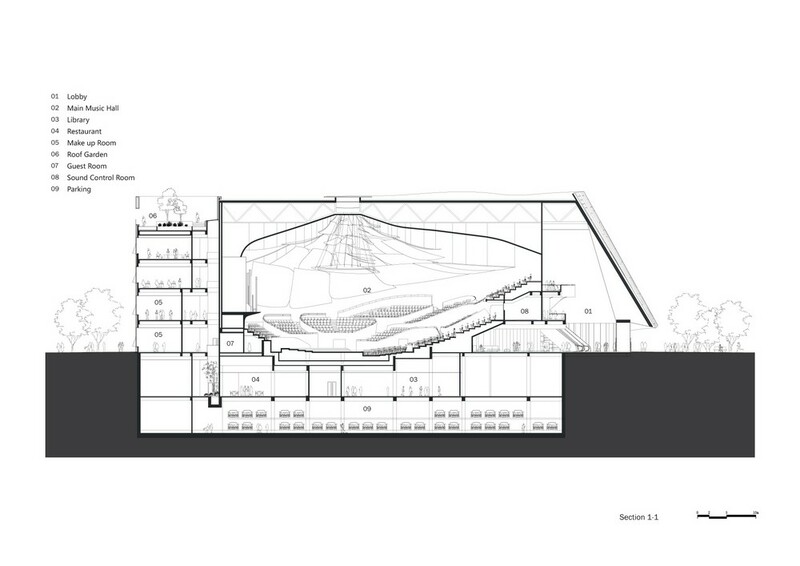 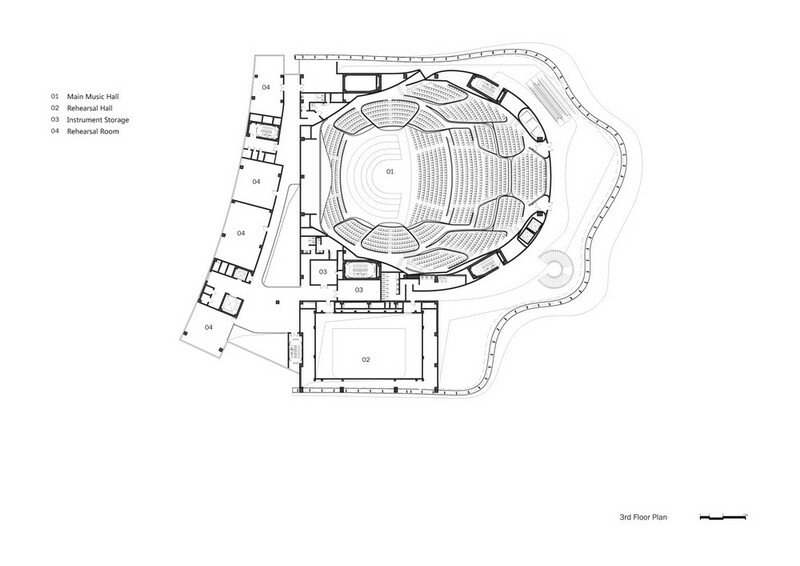 The 1,600-seat main concert hall is laid out in a vineyard style, with the seating surrounding the stage; rising up in serried rows in the manner of the sloping terraces. 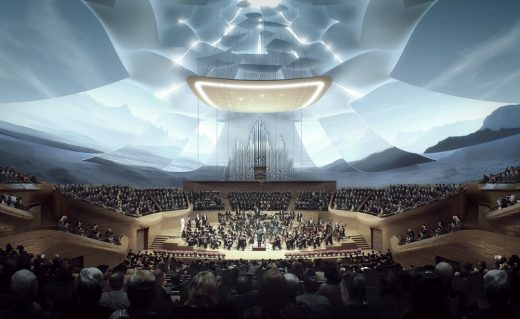 Its wooden lakes organically surround the stage while the white sound reflection petals on the ceiling are designed to resemble the segments of a lotus flower. 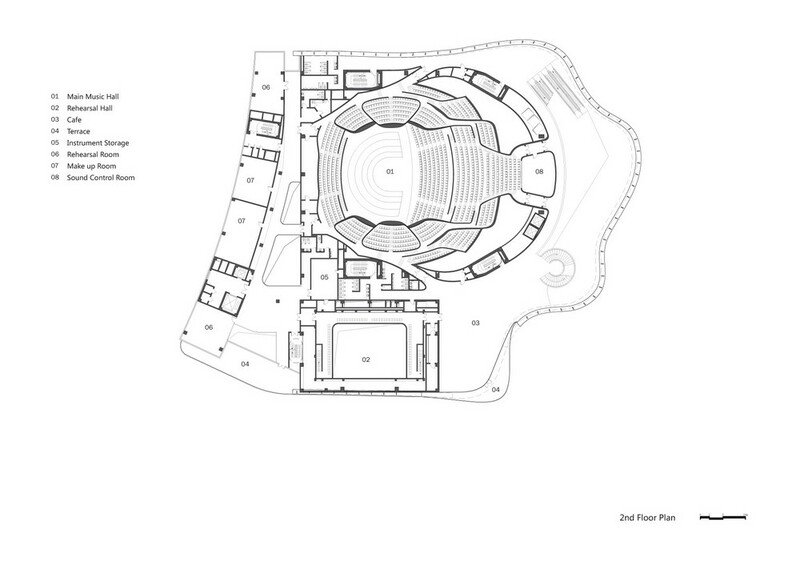 The natural light coming from above will make audience members feel as if they are in the center of a blooming flower. Lighting and visualizations can be projected onto the white petals and choreographed to match the musical performances. 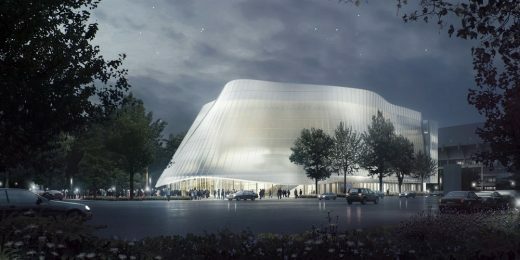 MAD has created an abstracted space that allows the audiences to escape from the city and retreat into various sceneries. 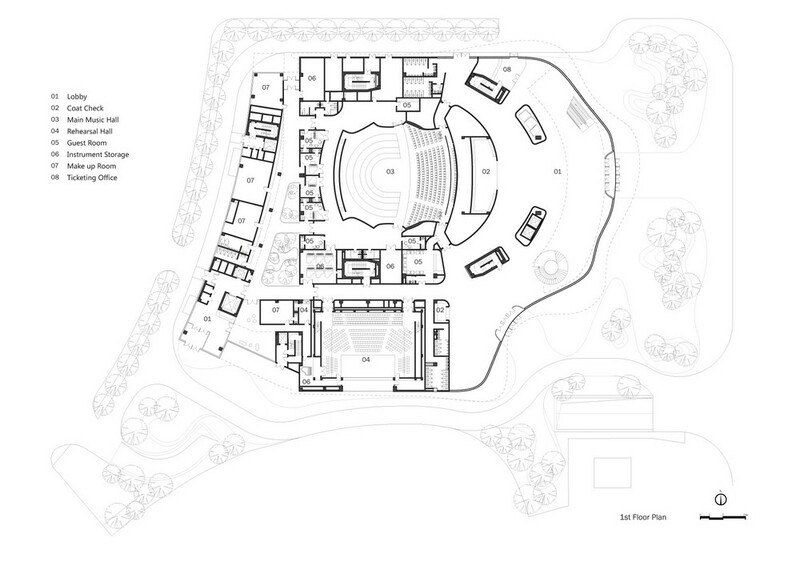 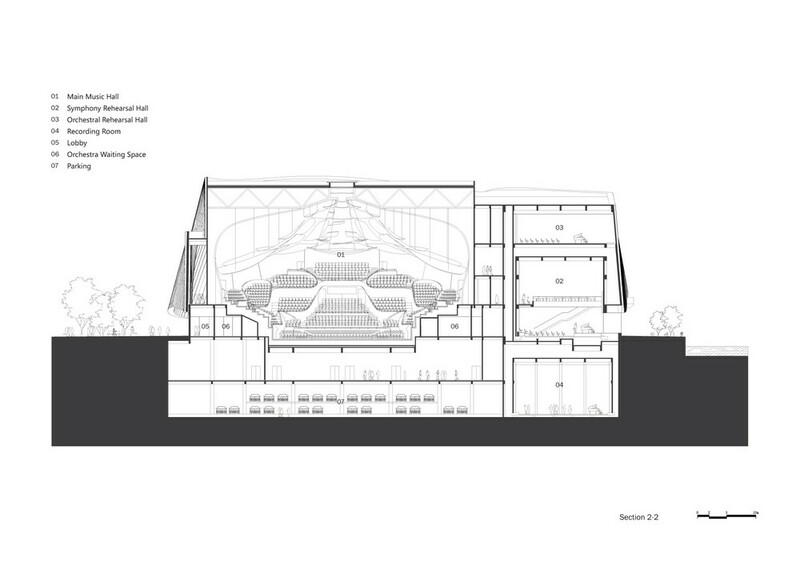 Adjacent to the lotus pond on the south side of the building is a 400-seat rehearsal hall. The interior is made of curved wooden walls designed for an optimal musical experience. 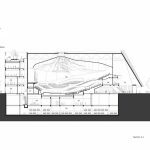 The adjustable sound reflection panel behind the stage can be raised to bring natural light and views of the landscape into the space. 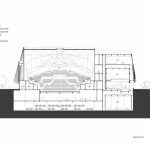 The building also includes a professional recording studio, a library, a collection gallery, offices, rehearsal rooms, and other auxiliary function spaces. The China Philharmonic Hall designed by MAD Architects will begin construction later this year, and is expected to be completed in 2019. 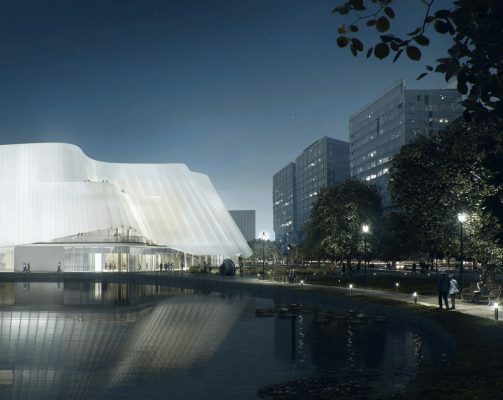 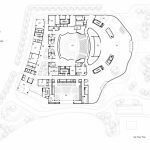 Rooted in Eastern philosophy, the China Philharmonic Hall aims to create a new formula for concert hall design and introduce a space within the busy city that promotes conversations between people, nature, and music. Structural Consultant: China Construction International (Shenzhen) Design Consultant Co., Ltd. 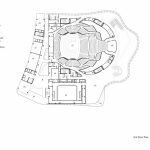 Interior Executive Architect: Beijing Honggao Interior Design Co., Ltd.
Landscape Design: Palm Design Co., Ltd.